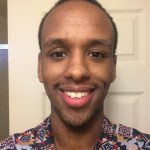 During the modern times, the turban has been questioned, roundly criticized and has come under harm from various quarters. This has occurred from within the Sikh community and also from other areas, governments, and religious groups and other organizations. The French ban on turbans in public schools. Attacks on Sikhs following the 9/11 attacks. General Low esteem among turban users due to vanity, ridicule, and taunting from others. The general perception is that the majority of the girls prefer clean-shaven Sikhs. Job opportunities affected by turban users. Sikhs with turbans are termed medieval and archaic. 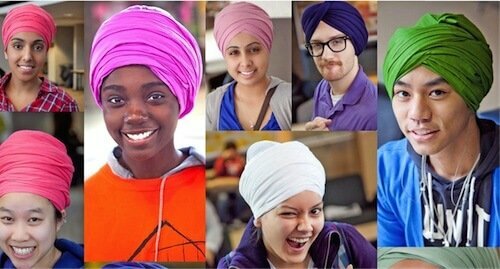 To promote adoption of Turban as a symbol of Sikh Identity and pride amongst SikhYouth and Non-Turban Sikh adults. “No Sikh Left Behind,” provide easy enough ways to Sikh Youth and Non-Turban Sikh adults to stay connected with Sikh religion and cultural roots. To support Turban-Dhari Sikh brothers and sisters, and educate other communities about Turban and its relation to their religion. Turban Day event is promoted to the promotion of Sikh Turban amongst non-turban wearing Sikhs worldwide and educate fellow citizens. The project primarily goal is to popularize adoption of Turban as a personal, religious and social symbol of identity amongst Sikhs and our no-turban wearing Sikhs. • Equality: All humans are equal before God – no discrimination is allowed on the basis of caste, race, gender, creed, origin, color, education, status, wealth, et cetera. The principles of universal equality and brotherhood are important pillars of Sikhism. • Personal right: Every person has a right to life but this right is restricted and has certain duties attached to it – simple living is essential. A Sikh is expected to rise early, meditate and pray, consume simple food, perform an honest day’s work, carry out duties for his or her family, enjoy life and always be positive, be charitable and support the needy, et cetera. • Actions count: Salvation is obtained by one’s actions – good deeds, remembrance of God – Naam Simran, Kirtan. • Living a family life: A Sikh is encouraged to live as part of a family unit to provide and nurture children for the perpetual benefit of creation (as opposed to living as a wild hermit, which was, and remains, a common spiritual practice in India). • Sharing: It is encouraged to share and give to charity 10 percent of one’s net earnings. • The four fruits of life: Truth, contentment, contemplation and Naam (in the name of God). Non-logical behavior: Superstitions, or rituals which have no meaning, such as pilgrimages, fasting and bathing in rivers, gambling, worship of graves, idols or pictures, and compulsory wearing of the veil for women, are prohibited. Material Obsession: (“Maya”) Accumulation of materials has no meaning in Sikhism. Wealth such as gold, portfolio, stocks, commodities, properties, et cetera, will all be left here on Earth when you depart. Do not get attached to them. Non-family-oriented living: A Sikh is encouraged not to live as a recluse, beggar, monk, nun, celibate, or in any similar vein. Intoxication: The consumption of alcohol, drugs, tobacco, or other intoxicants is prohibited. No priestly class: Sikhs do not have to depend on a priest for any of the functions that need to be performed. Where Is The Cassini Spacecraft Now ?